Totaljobs.com is one of the UK’s leading jobs boards, attracting around 6 million jobseekers every month on the hunt for one of 110,000 live job ads that the site carries at any one time. 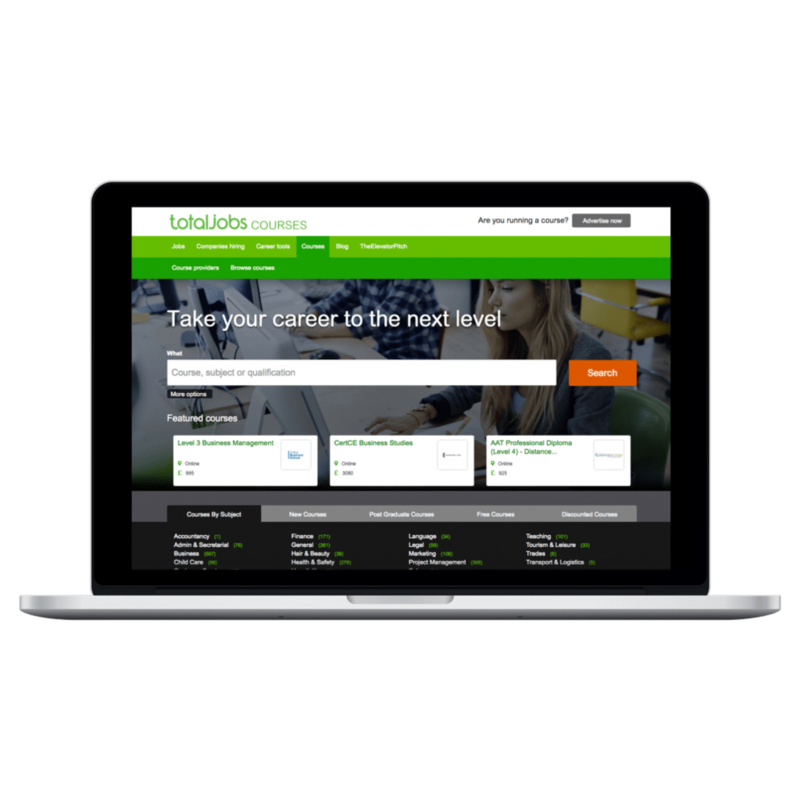 With over 2 million applications a month, totaljobs.com’s strong reputation among jobseekers and recruiters is second to none. With so many visitors and applicants, Total Jobs are in the advantageous position of correlating why applicants are sometimes unsuccessful and able to advise what can do to improve their situation – such as courses for learning and development. 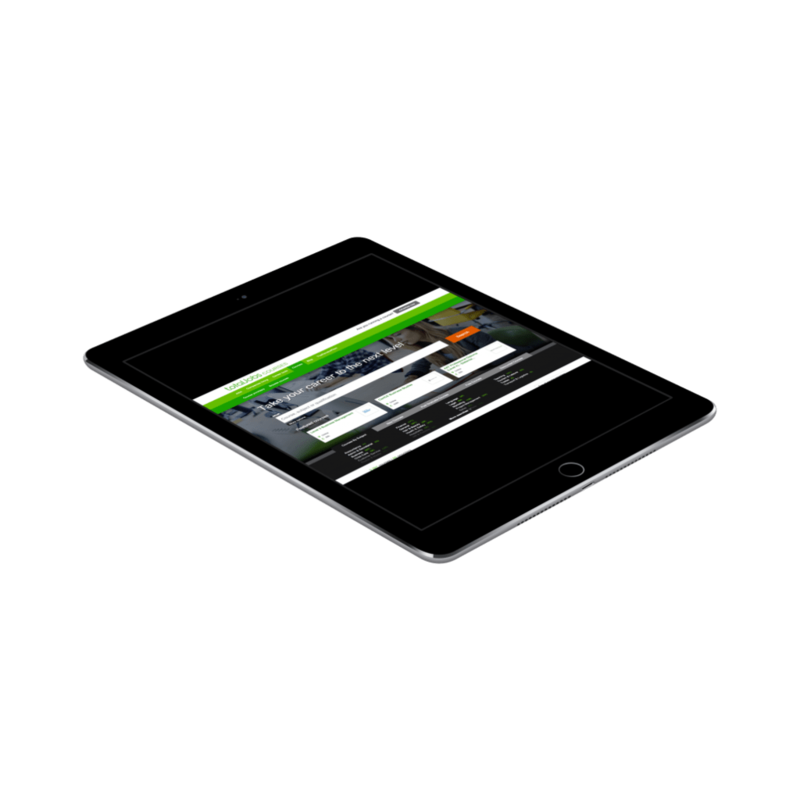 In order to continue with their mission at Total Jobs of ‘getting people noticed’ a courses site was developed to answer this need. 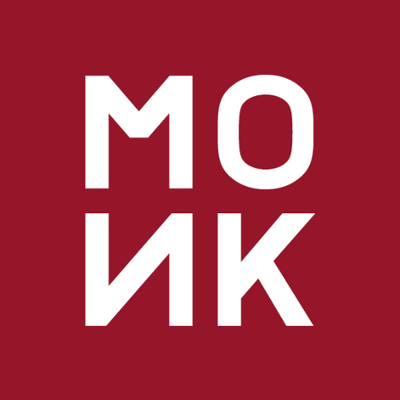 However with increasing competition Total Jobs knew they could do more to this flagging part of their main website, therefore they approached MONK to help grow this channel and revitalise this non-core part of their business, making it a far more engaging experience for visitors and course leaders alike. 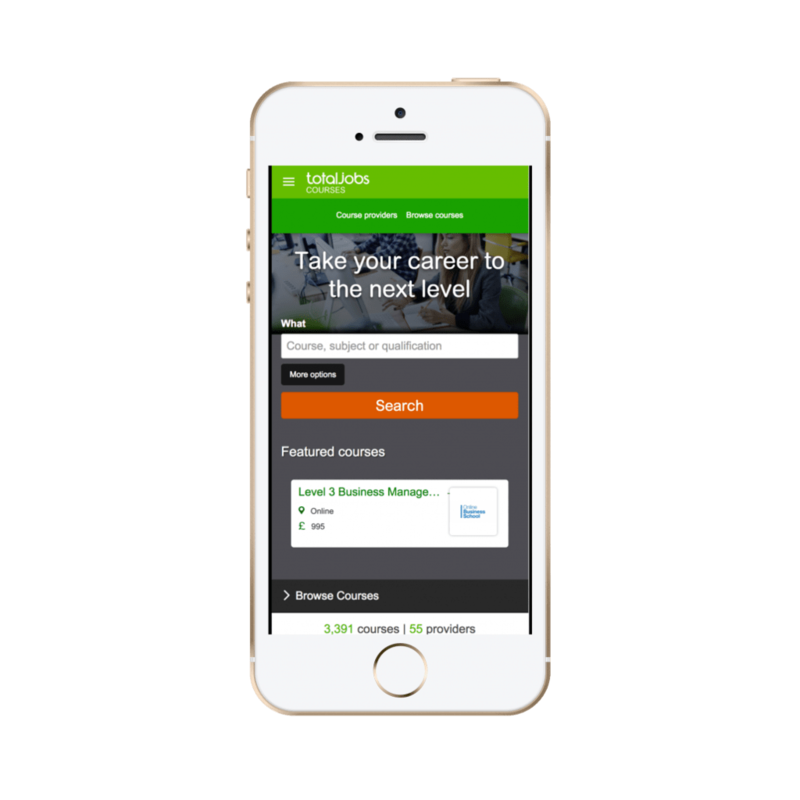 We worked with Total Jobs to define new functionality and developed a course marketplace for 3rd party providers, all with the goal of helping jobseekers to up-skill for their current job or future careers. The result? Thousands of recruiters from multinationals to smaller regionally-based businesses, recruitment consultants and advertising agencies are using totaljobs.com to now not only recruit individuals across almost every sector in the UK, but to attract and foster greater talent through the new and improve online training and learning platform. In the background we’ve developed a series of sprints to deliver the courses website and integrate it with the main jobs site, populating it with courses and release to the public; always refining the experience for the end customers and internal teams, with a programme of planned upgrades to deliver incremental functionality to meet the evolving needs of the business.